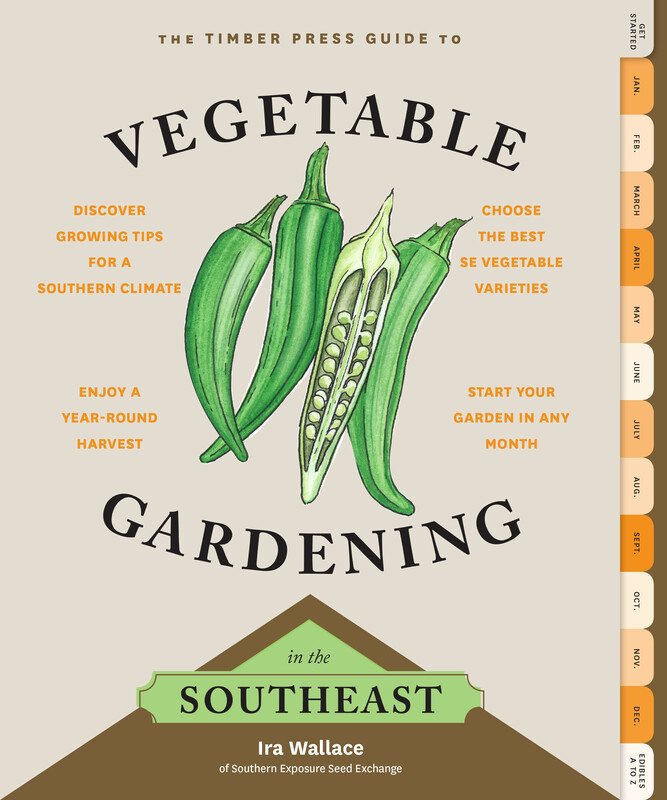 [Ira Wallace] This new book by Southern Exposure’s own gardening expert Ira Wallace gives home gardeners the regionally specific information needed to succeed in our hot, humid climate. It features what to plant, when to plant it, and when to harvest, based on our climate, weather, and other info. The southeast region includes Alabama, Arkansas, northern Florida, Georgia, Kentucky, Louisiana, Maryland, Mississippi, N. Carolina, S. Carolina, Tennessee, Virginia, W. Virginia, and a slice of NE Texas. Monthly planting guides show exactly what you can do in the garden from January through December. 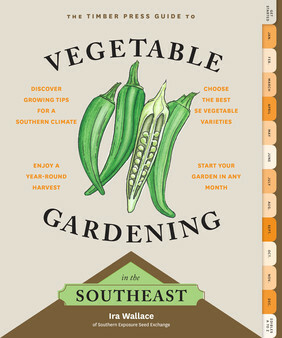 The “Skill Sets” in the book go beyond the basics, with tutorials on seed saving, worm bins, and much more. This book also includes a comprehensive gardening primer and an A-to-Z of edibles - a detailed guide for the region’s tried-and-true varieties. Softcover, 216 pp.